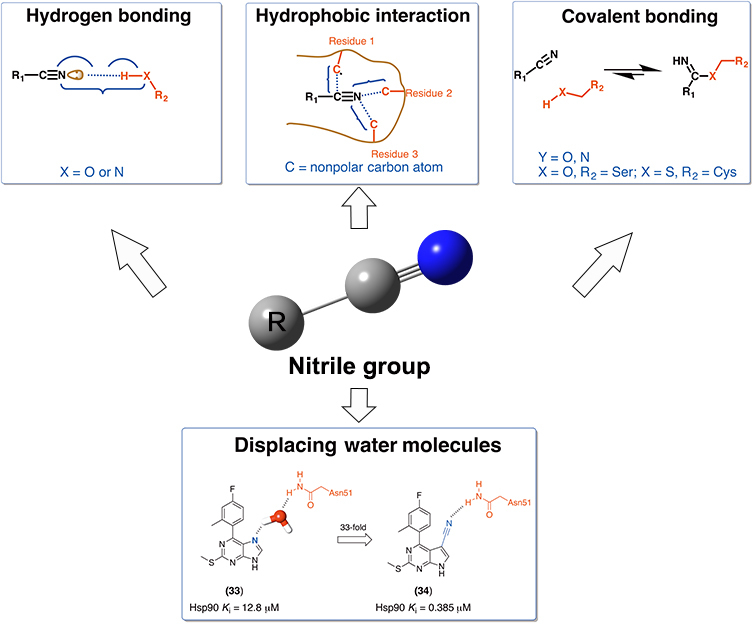 A survey of the role of nitrile groups in protein-ligand interactions. Intermolecular interactions between co-encapsulated drugs inhibit drug crystallization and enhance colloidal stability of polymeric micelles. 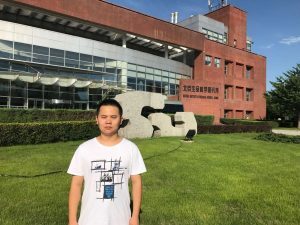 Zhang L, Sun H, Chen Z, Liu Z, Huang N, Qian F.
Novel “pairs” of drugs possessing pharmacological synergies could be encapsulated into polymeric micelles and exert superb therapeutic effects in vivo upon intravenous administration, with the prerequisite that the micelles remain stable. 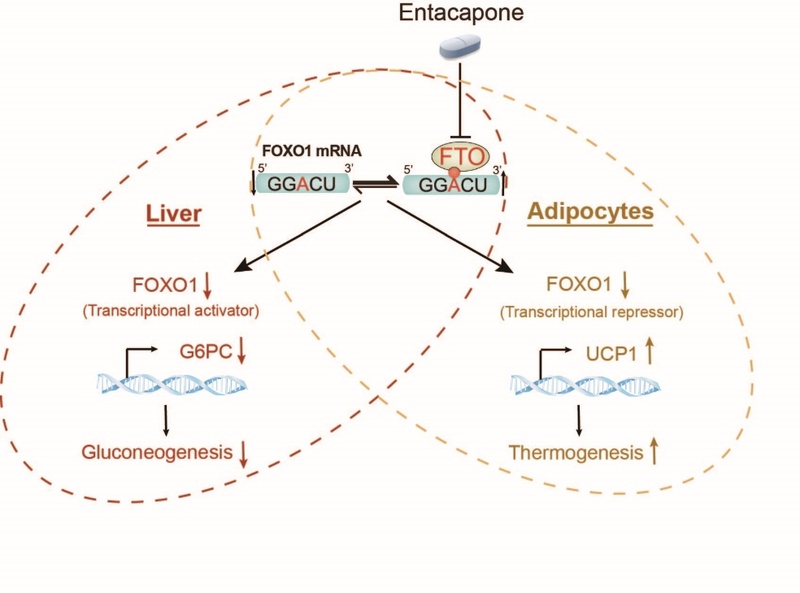 NADP(H) quinone oxidoreductase 1 (NQO1) inhibitors, such as β-lapachone (LPC) and tanshinone IIA (THA) are structurally and pharmacologically similar molecules that are both poorly water soluble, crystallize extremely fast, and demonstrate synergistic anticancer effect when used together with paclitaxel (PTX). However, when co-encapsulated with PTX in poly (ethylene glycol)-b-poly (D, L-lactic acid) (PEG-PLA) micelles, only PTX/LPC but not PTX/THA pair yield satisfactory colloidal stability. 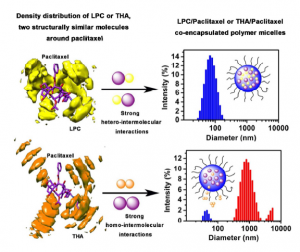 To reveal the molecular mechanism contributing to the colloidal stability of the co-encapsulated micelles, we investigated the molecular interactions of PTX/LPC and PTX/THA, through both experimental methods (crystallization kinetics, 13C-NMR) and molecular dynamic simulation. We observed that PTX was capable of inhibiting LPC but not THA crystallization both in aqueous environment and in solid state, which could be attributed to the strong hetero-intermolecular interactions (π-π, H-bonding) between LPC and PTX, which disrupted the homo-intermolecular interactions between LPC molecules and thus formed a favorable miscible binary system. 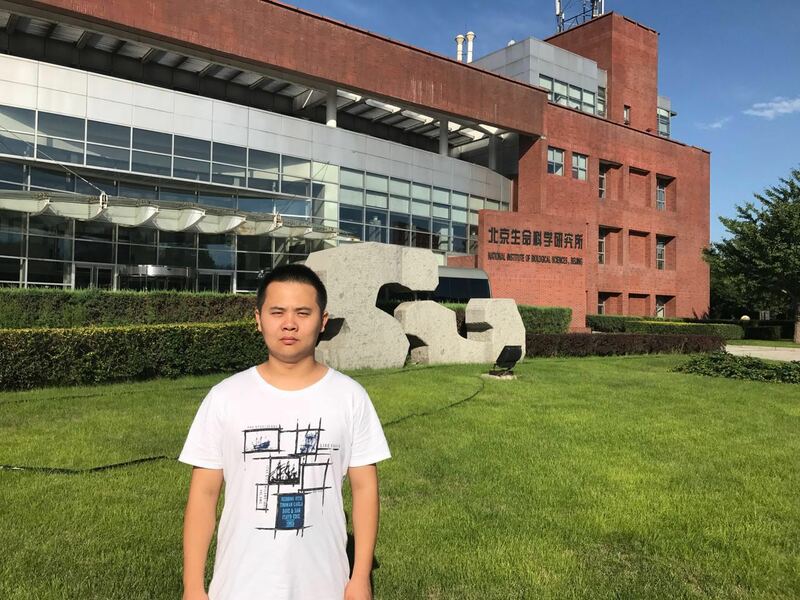 In comparison, the lack of a strong PTX/THA interaction left the strong THA/THA stacking interaction undisturbed and the fast THA crystallization tendency unrestrained. We conclude that the intermolecular interactions, i.e., the “pharmaceutical synergy”, between the co-encapsulated drugs critically control the colloidal stability of polymeric micelles, therefore shall be evaluated when design co-encapsulated drug delivery systems for optimal therapeutic benefits.